Re-useable humane mouse trap catches but does not kill the mouse. Plastic construction for easy cleaning. 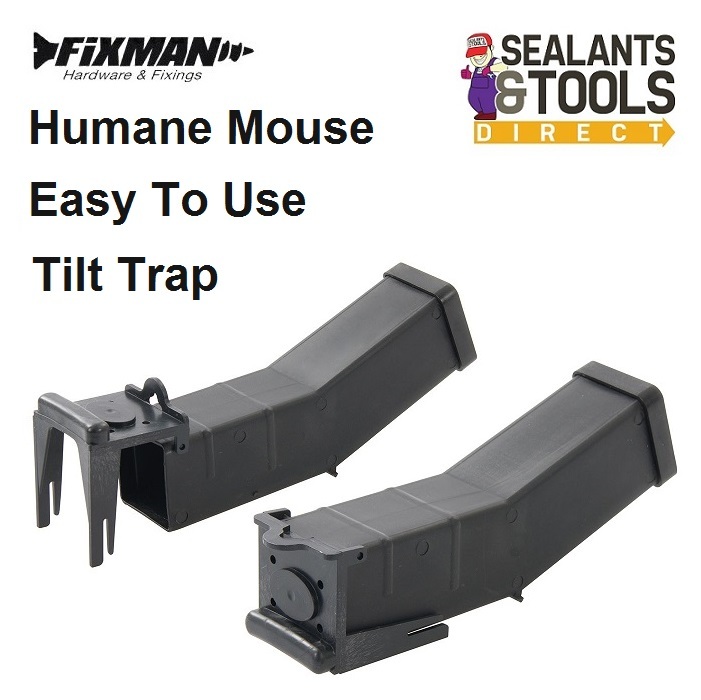 Mouse cannot take bait without tripping the tilt trap. Once the mice are caught the trap can be emptied without the need to touch the mouse. Captures mice humanely for release at another location. L x W x H: 170 x 40 x 40mm. "The above picture shows the same trap open and then closed"